In addition to the hundreds of thousands of protesters who turned out to America's airports this weekend, Donald Trump has a new opponent to his travel ban — the State Department. Dozens, if not hundreds, of foreign service officers and diplomats are circulating a dissent memo, first reported by Lawfare, strongly condemning President Trump's executive order that cut off refugees from seven Muslim-majority from coming to the United States. "Such a policy runs counter to American values of discrimination, fair play, and extending a warm welcome to foreign visitors and immigrants," the memo reads. It is unclear how many State Department agents will sponsor the protest. Authors of the five-page document argues that the ban "does not achieve its aims" and "will likely be counterproductive" while offering more thorough visa vetting processes as alternatives. Several reports over the weekend noted that the Department of Homeland Security had been left in the dark on the impending executive order, creating chaos for families at airports all across America. The memo, which was submitted though the State Department Dissent Channel, a medium created in 1971 for employees to voice concerns about presidential administrations, repeatedly mentions the very small number of terror attacks carried out by residents who are now banned from entering the United States. "Given the near-absence of terror attacks committed in recent years by Syrian, Iraqi, Irani, Libyan, Somalia, Sudanese, and Yemeni citizens who are in the U.S. after entering on a visa, this ban will have little practical effect in improving public safety," it states. The authors also express deep concerns for the long-term image of the United States and say it will "immediately sour" relations with countries closed off by Trump's executive order. "When the 220 million citizens of these countries lose the opportunity to travel to the U.S. overnight, hostility towards the United States will grow," the document reads, mentioning the massive youth populations of the countries affected. "There is no question that their perception of the United States will be heavily colored by this ban." Under a section titled "We Are Better Than This Ban," the foreign officers state that "this ban stands in opposition to the core American and constitutional values that we, as federal employees, took an oath to uphold." "We are aware of a dissent channel message," a spokesperson for the State Department said. 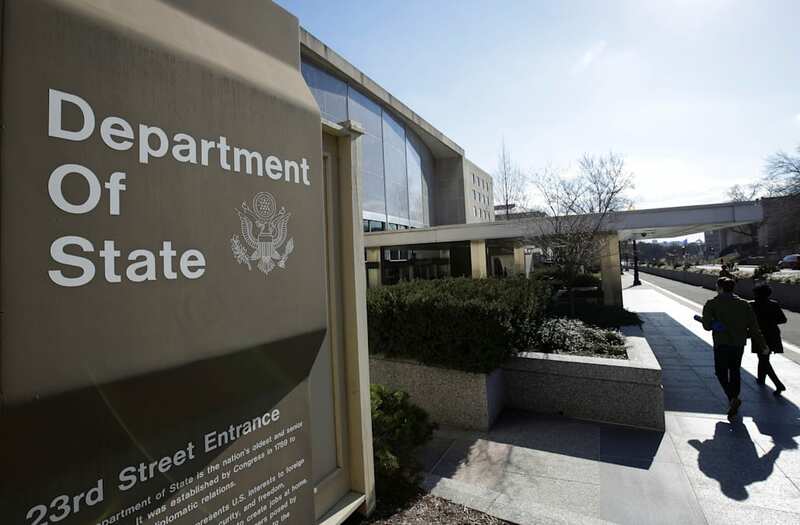 "The Dissent Channel is a longstanding official vehicle for State Department employees to convey alternative views and perspectives on policy issues... It allows State employees to express divergent policy views candidly and privately to senior leadership." The Trump administration doesn't seem all too keen on entering the conversation though. White House Press Secretary Sean Spicer quickly dismissed the memo at Monday's White House press briefing. "They should either get with the program, or they should go," Spicer said of the memo's authors. The post State Department Memo To Trump: 'We Are Better Than This Ban' appeared first on Vocativ.